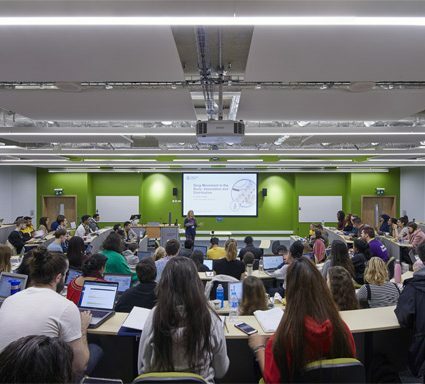 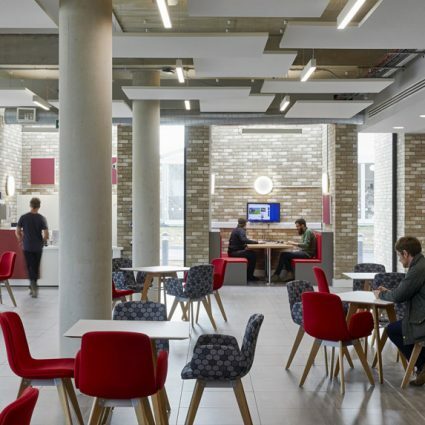 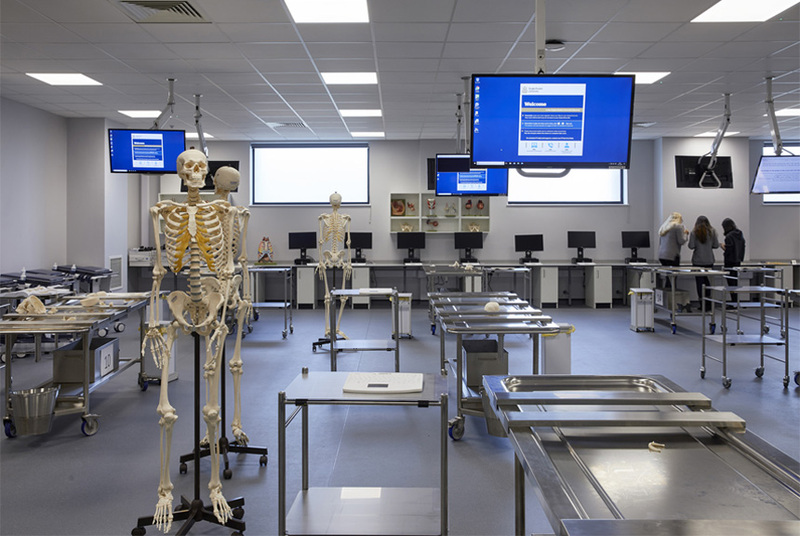 The scheme creates a new, purpose-built, 3-storey facility for the Faculty of Medical Science at the heart of Anglia Ruskin University’s Chelmsford campus. 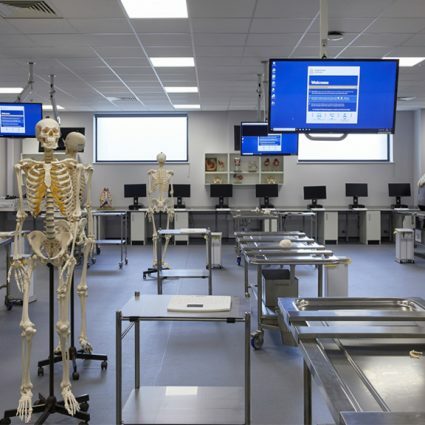 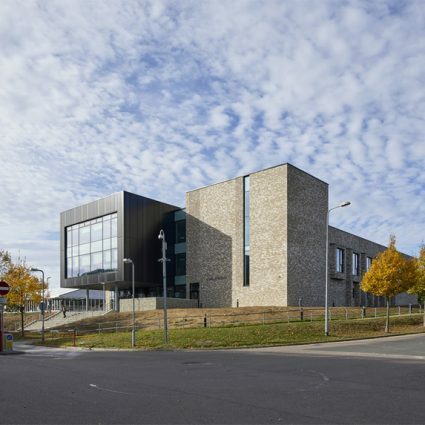 It provides state-of-the-art teaching spaces with a strong emphasis on practical learning, including an anatomy laboratory, clinical skills mock wards, a GP training facility and a series of flexible ‘5 in 1’ skills spaces. 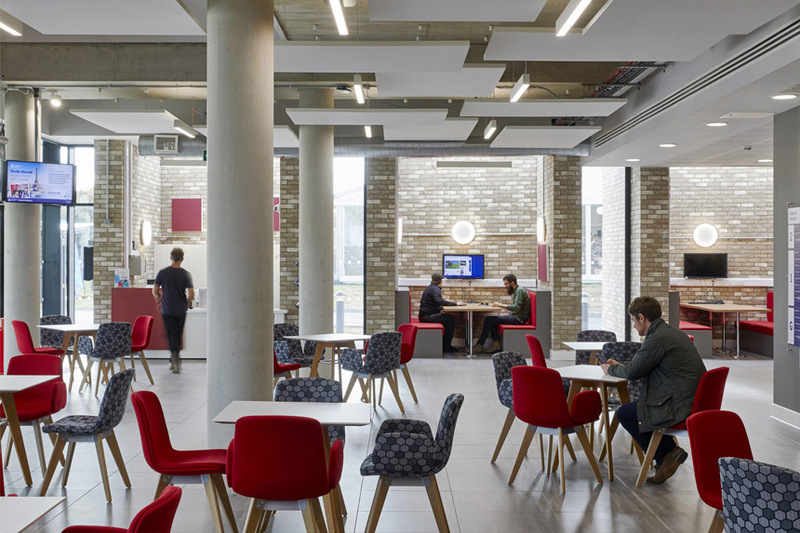 In addition, the project brings benefits to the wider campus community with a series of informal study spaces, a café with outdoor seating area and a 100-seat auditorium, designed to encourage collaborative and group working. 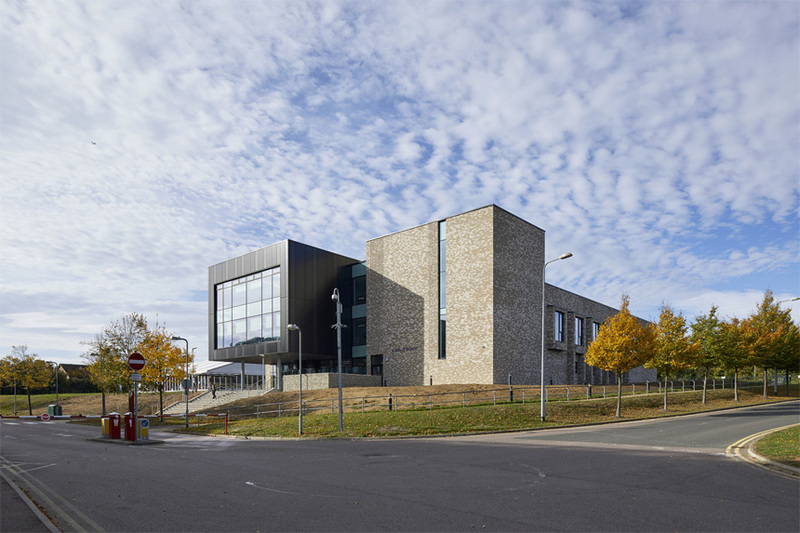 The building respects the grain and landscape character of the existing campus, picking up on key links and alignments, but has its own identity with a strong massing concept enhanced by contrasting materials.